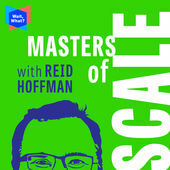 Podcasts are a great way to educate yourself. Whether you’re on the train, in the car, at your desk, or anywhere in between, this medium is an incredible vehicle for supplementing your industry knowledge. Every two weeks, I’ll be sharing with you a round-up of some of the best marketing podcast episodes you can find, spanning the entirety of the marketing landscape. 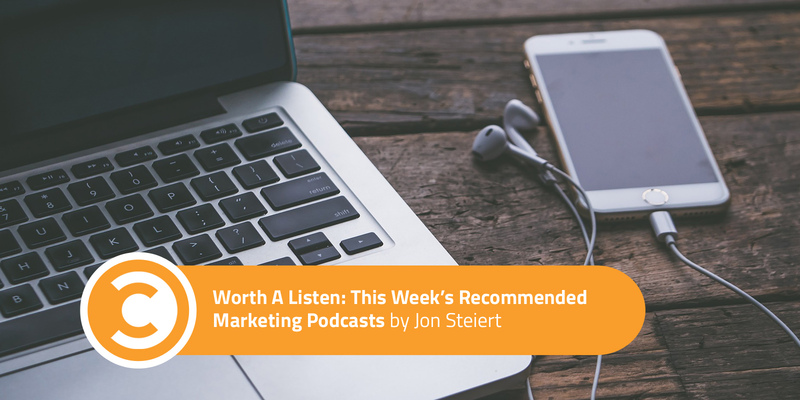 Whether you’re new to podcasts or a seasoned listener, I know you’ll find value in each weekly round-up. Let’s get listening, shall we? 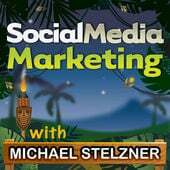 Michael Stelzner, founder of Social Media Examiner, runs one of the most consistently useful podcasts around. In this episode, Michael interviews Lindsay Ostrom, founder of PinchofYum.com and author of the Tasty Food Photography ebook, on the topic of short video creation for Instagram and other social sites. Her success stems not only from putting in years of work with her core audience and sharing portions of her own life but also through finding the secret sauce that is creating short-form, fast-moving video. Takeaway: Video is not going anywhere, and attention spans aren’t expanding. Understand where your audience wants to “eat,” and optimize content for those channels. As Lindsay shares, she knows her audience is most likely to engage and take action on Instagram, while YouTube is not her bread and butter. You might not have a team to help you create these videos, but fortunately, as Michael shares early in the episode, there are tools available that can make video creation easier. Continue to test different styles of video and text-on-image options until you find the perfect recipe for your own success (Wow, there are a lot of food metaphors here!). Anything that Google and Amazon do is big news. Anything that directly involves the two of them is massive. Google will no longer allow YouTube to be part of Amazon’s Echo Show, their new Alexa tablet, and there will definitely be some interesting changes on the horizon because of it. 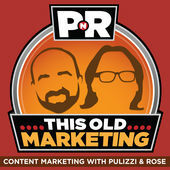 Outside of this power struggle, Robert Rose and Joe Pulizzi of The Content Marketing Institute discuss Twitter experimentation with 280 characters and some of the habits we can learn from the top content marketers in the industry. Takeaways: It’s common to see the big boys play not-so-nice with each other, especially when it comes to new markets like the Smart Home space. As a marketer, moves like this make our jobs much harder, while also creating new opportunities. It creates additional wrinkles to sift through when determining where we need to invest our time and budgets. Whenever tech giants don’t want to cooperate, everyone else pays the price. Ultimately, it’s about finding and servicing our audiences where they want to be reached. Takeaways: Much like Nike’s famous slogan says, just do it, whatever that it may be. If you have an idea for a product or service, it’s better to go forward with it in a bare-bones (functioning) state than it is to let it simmer until it’s too late. While it might be hard for some of us (like myself) to accept something less than perfect from ourselves at the start, we’ll be better for it in the long-term if we get to work and push our ideas into the world.